Compact is one of the most flexible ranges on the market. All WC's in the range have soft close wrap over luxury toilet seats. WC also available in "comfort height". 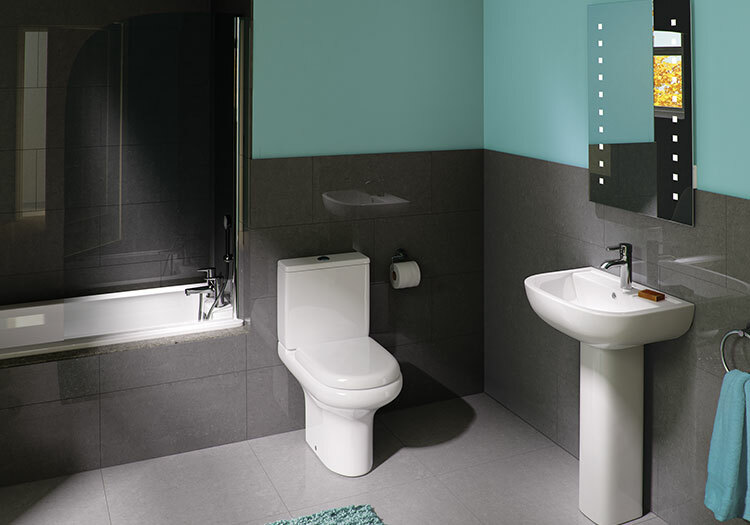 The family of washbasin and pedestal options will meet the needs of any bathroom application. Available in main different sizes. Prices start from €569.00 excluding mono basin mixer. Price includes W550/W450 x D410 1 tap hole basin with full pedestal and a close coupled standard height WC.